Rubina Anis is originally from India and obtained her Masters in science in Human Development for Nagpur University India. Then she went on to study Master in Arts in Counseling Psychology form Webster University Leiden, Netherlands. She has lived and worked in Middle East – Dubai and Abu Dhabi, Europe – Netherlands and currently residing in the Borneo Island – KB, Brunei Darussalam. Rubina’s career has included positions in school and hospitals. She has worked in special needs schools as well as mainstream schools integrating children with developmental issues and behaviors disorders. She has in the past worked in multidisciplinary team serving clients with autism and trauma affected asylum seeking children and families. In her private practice in Kb Brunei she work as an associate of Clarity Brunei, www.claritybrunei.com. Her well-rounded experience in developmental and counseling psychology helps her works with clients of all age group and diverse cultural background. She works with the local community and also with expatiate working in Brunei. Client issues range from autism spectrum disorder, behavioral and learning issues, transition, grief, and emotional and psychological like stress, anxiety, depression, relationship problems and eating disorders. She predominantly uses Behavior therapies like Applied behavior analysis, Adlerian psychotherapy and Cognitive behavior therapy in her practice. Recently she obtained certificate in Grief counseling from Help University Malaysia and provides workshops on transition in life, third culture kids and raising Bi/multilingual children at Shell Outpost Brunei. 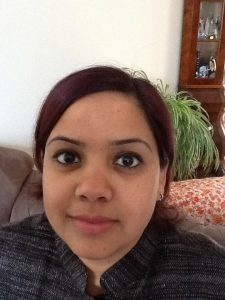 Rubina is a member of American counseling association https://www.counseling.org and follows its codes of ethical practices. Rubina is also a member of Association of school counselors for South East Asia and regularly attends workshops on counseling techniques and practices and attend supervision/inter vision with them to keep abreast with latest practices and development in the field of counseling in this region. Rubina’s practice is centrally located in KB and easily assessable from Panaga, Seria and also Miri, Sarawak Malaysia.